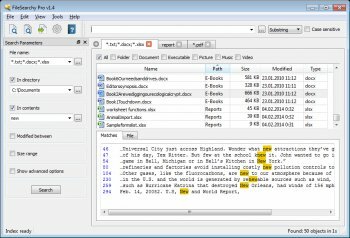 FileSearchy is a powerful file search engine that helps to find files on your computer. It provides instant search by file name, and advanced search by file contents, size and date. Supports search inside PDF, Office and other documents. 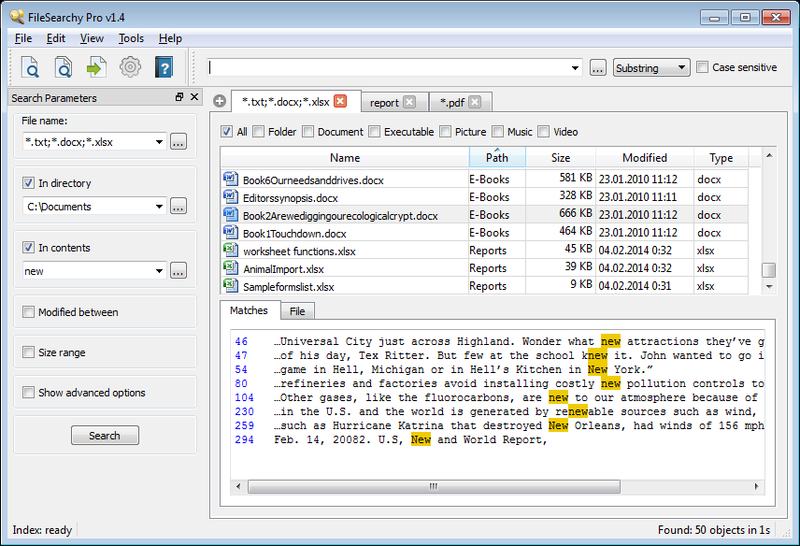 Highlights found text in file names and contents. Clean and intuitive multi-tabbed user interface. FileSearchy Pro is Shareware. You can try it for free during a trial period of 21 days, but if you want to continue using it you must purchase the License." "Upgrade your existing license for $12.47." after being first licensed for $24.95.